Learning Lab Technologies through our online apps for learning is focused on developing intellectual development of children which underlie success academic skills. Our work is based on the Structure of Intellect Model of Human Intelligence. This model provides a pathway to understand the multiple aspects of human intelligence and is a key resource for assessing strenghts and weaknesses in childrens intellectual abilities. Perhaps most importantly, it provides the means for enhancing and developing the weak intellectual abilities. It is our firm belief that no child has to suffer academic failure when we can assess and diagnose the specific weaknesses that are limiting their success. Through the use of our apps we hope to provide the means for helping children to develop their intellectual abilities to their greatest extent possible. with you to help them to reach it.  We help children become all they can be! LEARN MORE ABOUT HOW WE CAN HELP YOUR CHILD! Questions about our apps or services, send us a message right now. I consent to IntelleQuest Education Company collecting my details through this form.